The Second National Mind Sports Games kicks off in Wuhan, capital city of Central China’s Hubei province, on Nov 8, 2011. Nearly 4,100 people will compete in the games, jointly held by China’s General Administration of Sports and Hubei Administration of Sports, Nov 8 to 18. Fifty-five delegations representing different provinces and regions, including Hong Kong, Macao and Taiwan, will participate in competitions for 54 golden medals. The six major games are go (weiqi), bridge, chess, draughts(checkers), gobang and Chinese chess (xiangqi). To promote the event, organizers will also hold a Board and Card Culture Expo during the games, Nov 9 to 13. It will include activities, such as chess fan parties and lectures on chess and card games. I build my body by swimming and discipline my mind by bridge. The National Mind Sports Games is like a festival, but its influence is not limited to several play days. Fortunately, this event can have a huge effect on Wuhan. Thanks to the support of the people of Hubei province. "The games will help expand Hubei's influence in the culture of board and card games, stimulate the mass' positive attitude toward participating in board and card games and enhance competitiveness. It also coincides with the building of the civilization of Hubei province and will be beneficial for Hubei's development during the 12fth Five-Year Plan." 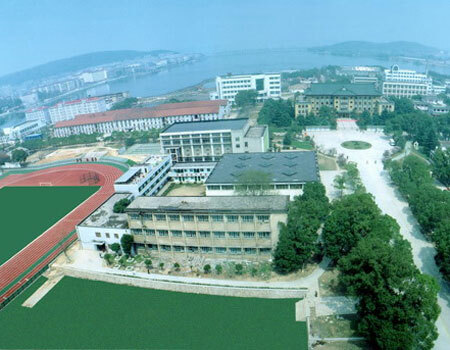 The games will be held at the Wuhan Institute of Physical Education and will attract many student spectators. It is beneficial to the promotion of sport of board games. All the games of the Second National Mind Sports Games will be held at the Wuhan Institute of Physical Education. It is the first time a national competetive event is being hosted by a university. Despite challenges, the president of the institute Sun Yiliang sees the event as a good development opportunity. "We will take advantage of the National Mind Sports Games to improve our campus environment and build up a wide platform to open up our institute to society," said Sun. 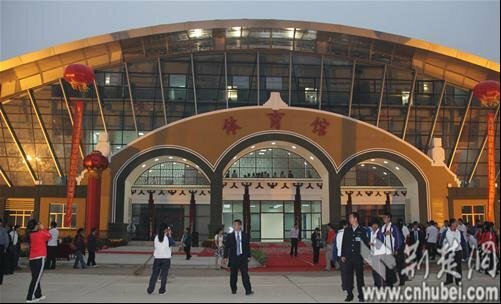 Wuhan Institute of Physical Education will invest a total of 45 million yuan (not including the spending on newly built gymnasium) in the games, a relatively low cost for holding such a national sports event. More than 2,300 people including over 200 teachers will work to serve the games as volunteers, performers of opening and closing ceremonies and other roles. All 21 hotels around the Wuhan Institute of Physical Education are ready to receive delegations. A newly built gymnasium will be the host venue for bridge games and the opening and closing ceremonies. However the gymnasium was not specially built for the games but under the institute’s own initial plan, according to Huang Haojun. To meet to the need of the National Mind Sports Games, the institute has made some adjustments to the gymnasium. Much of the equipment was rented whenever possible. To better serve the event, an etiquette volunteer selection contest, “Intelligent Angel,” was held by the event organizers in March 2011. It attracted nearly 1,000 contestants from more than 20 universities in Wuhan. After the fierce competition, top six contestants won the “Crown of Angel” to serve six major games and the following nine contestants won the title of “Star of Intelligence”. The top 16 women chosen will serve as etiquette volunteers in some key posts during the games, including the VIP reception and awarding ceremony. An online board and card tournament concluded on Oct 19, and 12 winners were select from a feild of 30, 000 to join the Second National Mind Sports Games. A university go (weiqi) tournament was held at the Wuhan Institute of Physical Education on Nov 2, attracting 102 contestants from 18 universities in Hubei province. The tournament served as a test event for the Second National Mind Sports Games, a full examination of the venues, facilities, organization, referees and staff.